The eerie caw of a lonesome crow greets the unsuspecting listener. This stark sound, followed soon by a groovy and down-tuned guitar riff, helps to create a sort of musical black magic. “Ghost Smoker,” the opening cut on Saint Karloff’s debut album, invokes equally the telltale stoner doom of Black Sabbath and Pentagram, and the horror mysticism of the band’s famous namesake. Much like with Boris Karloff’s iconic monster, Saint Karloff have turned a classic formula into a fresh and invigorating piece of art. Granted, stoner doom-metal acts are a dime a dozen these days, and All Heed the Black God isn’t exactly offering anything new under the glorious layers of loud, doomy sludge. Rather, this Oslo-based power trio delivers all the retro distortion, syncopated grooves, dynamic arrangements, and psychedelic melodies of our favorite Sabbath, Down, and Pink Floyd records. Mads Melvold summons the trademark doom guitar tone and vibrato of Iommi, all the while singing like Ozzy glued to a megaphone. The rhythm section of bassist Ole Sletner and drummer Adam Suleiman, meanwhile maintains the muscular grooves while also injecting a jazzy sense of playfulness. It is precisely this sense of familiarity and the sheer quality of the songwriting that makes the seven tracks here work so well. 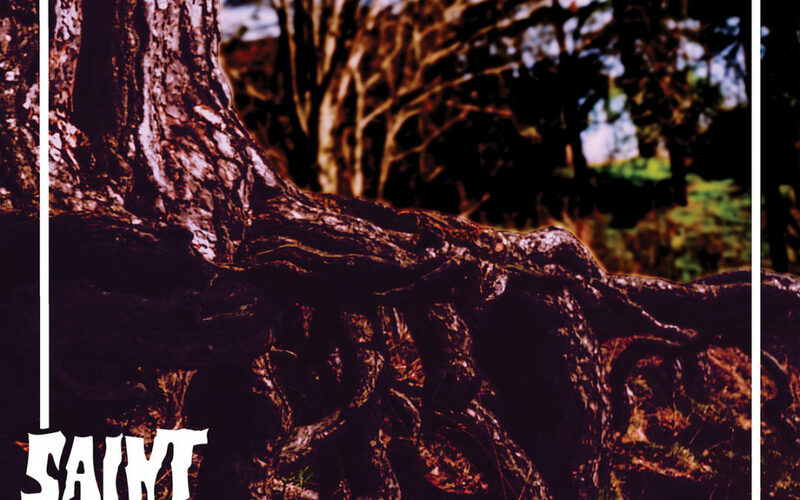 “Ghost Smoker” sets the groovy tone by shuffling along slowly in a manner that would not sound out of place on the Vol. 4 record. “Space Junkie,” by contrast, ups the beats-per-minute without losing one iota of its infectious sludginess. 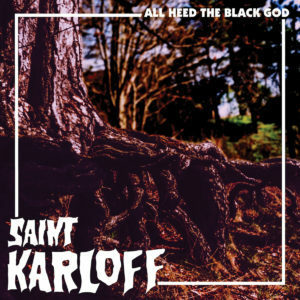 Saint Karloff deftly display their versatility on the gorgeously- pastoral acoustic piece, “Ganymedes.” “Dark Sun” is a deliberately-galloping monster of a tune that simultaneously wrecks necks and enlightens souls; while the ethereal, psychedelic melodies and crushing groove of “Spellburn” gives The Black God a balanced sacrifice. That, my friends, would bring a stoned smile to the face of Frankenstein’s monster.